The not-often discussed truth that powerful Christian writing requires anointing reveals your path as a writer for the Lord. Jesus was not kidding when He said, “…without Me you can do nothing.” I don’t care how facile you are with words and turns of phrase. Your wit will not change lives. At best, it will convince readers that you are wonderful. At worst, it will distract readers from repentance. First, how do we recognize powerful Christian writing — non-fiction or fiction? Easily. Excellent and powerful Christian writing transforms lives, brings repentance, offers comfort, edifies the reader, and/or offers the Baptism of the Spirit to broken and needy people. Backsliders reexamine themselves. The heathen is convicted of sin. Readers’ hearts are opened to the work of the Holy Spirit in their lives. The difficulty, of course, comes with finding testimonies. They come from reviewers, commenters, and readers. 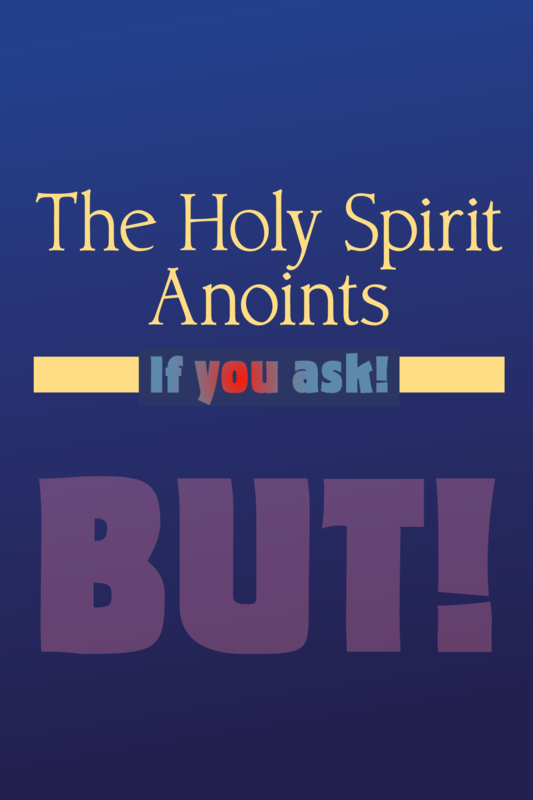 However, simply asking the Holy Spirit to show you solves that problem quickly. In fact, the Holy Spirit is the core of the whole process. So, how do you get the Holy Spirit to produce powerful Christian writing through you? “You ask for it. You ask sincerely, humbly, and fervently before you write—every time you write—that the Holy Spirit will take your thoughts and words and make them into rhema for your readers. You pray that your flesh and old self will be kept out of the way and that you can be a channel for the Holy Spirit now. You pray you can be given the ability to convey truth which will not mislead. When you have prayed for wisdom and anointing, then you can write freely, trusting He will do what He promised. Without this power applied to your writing, it is just a career choice. If writing is your calling and your ministry, it will be worthless without the power of the Holy Spirit transforming your work. 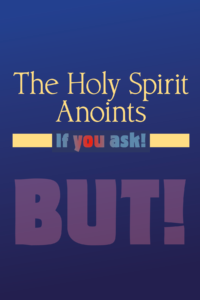 This anointing is essential.” Bergsland, Writing In Holiness: While Keeping It Real (pp. 13-14). Radiqx Press. Kindle Edition. You must allow it. This is not automatic writing where a spirit takes over and controls your flesh. You ask Him to use you, listen carefully, and write with an attitude of awe and wonder. Even then, you may not recognize the anointing upon your writing. It’s not for you, but others. Sometimes I am aware I wrote something beyond my ability. But, often I have no idea until I hear testimonies. I’m grateful for that. I don’t need the swollen head, for I did little except to try to allow the Spirit to convert my writing to rhema. He gets the glory for the power comes from him. But, there’s a lot more to it than you being anointed. Who do you work for? Who called you to be a writer? For some of you, the answers are: you work for yourself and your decision to be a writer was a personal one. If so, I’m not talking about you or to you. 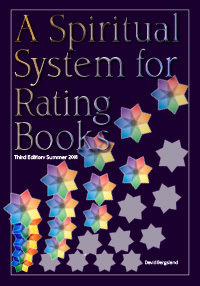 I’ve written extensively about the various spiritual levels of Christian fiction in my foundational book, A Spiritual System for Rating Books. As I wrote there, transformational power is generally not available in any book offering less than Redemptive or Spirit-filled stories. But for this article specifically and this Website generally, I am speaking to authors who believe God has called them to write. …my vision is to help you understand that your call to write is very important. It is part of the effort He is putting out to save everyone possible before it is too late. My vision is to encourage you in that, and to provide you with the knowledge necessary to communicate clearly with your writing. Typography, page layout and book design are the tools of your trade just as much as excellent dialog, compelling characters, immersive worlds, and carefully crafted stories. I am not called to talk you into feeling guilty if your books are not forceful sermons—dragging your readers kicking and screaming from Hell into Heaven. Preaching doesn’t work in books. Manipulation by guilt is fleshly at best and often sin. Quoting scripture is only appropriate in scenarios where you would naturally do so in real life with your friends and acquaintances. Just like friendship evangelism, you learn what your reader needs and fulfill it. You listen to them, come to understand them, answer their questions, and gently lead them to the Truth. Only the Holy Spirit can enable them to act upon that Truth. All you can do is provide access to it. We are teacher/storytellers not master/slave drivers. We lead by example and the clear statement of reality toward Truth and the acceptance of that reality. Bergsland, David. Writing In Holiness: While Keeping It Real (pp. 14-15). Radiqx Press. Kindle Edition. Powerful Christian writing has a definite place helping prepare for the soon-coming return of our King and Messiah—commonly known as Jesus of Nazareth, in English. God has strongly called several, even many, authors to bring the Gospel to hard-to-reach readers of speculative fiction, fantasy, scifi, and action-adventure. In this reality, our question becomes simple: what do you want me to do, Lord? If we are called by Him to write, we must follow His lead in accomplishing this. It’s not about you, but about the Lord—and those sheep to whom He wants you to speak. You get to experience His power to make your book better, more realistic, and powerful. It’s a real rush. But never forget: you work for Jesus to serve His people, those readers He has given you to be shown the Truth of the Gospel in your books. Great solid article. I could have done a lot better at this in the past. It is something that we must never forget. I never do it as well as I hope I will. But when I remember, it really helps. Hi David, I’ve read this word of encouragement from you before and am believing it more and more. Some of my forthcoming work on Proverbs has been exceptionally tedious, finding how many different themes have been organized in that book. I cannot guess how many thousands of hours have been that way. It was like a huge homework assignment. With that assignment behind me, I’m now writing and revising. Continually I am being nudged to include additional thoughts, move paragraphs to another location, change the flow, add new scripture verses, and so on. With each nudging, I am more and more convinced that Proverbs is a record of Solomon’s repentance. Even the way I was initially led me to that conclusion was from the Holy Spirit. So I am convinced your words about the anointing apply to non-fiction Christian writers just as the do to the fiction writers. We are the teachers, not just the writers, who have a special purpose to make a difference in people’s lives. As teachers, we are also held to a higher level of accountability. That is a very serious statement from James 3:1. So if we are truly called to be writers for the sake of Jesus Christ, we best not ignore your words about an anointing. I really enjoy reports like yours. God’s so good.